The Natick Elks Function Hall is one of the largest function halls in Metrowest Massachusetts. We can accommodate about 250 people. We have a full kitchen and bar. We have one of the largest dance floors in the area with a stage for music and officiants. We have a sound system. Our outdoor facilities include BBQ area, patio and horseshoe pits. Plenty of parking is available. The Function Hall is available for just about any occasion. We frequently rent our function hall for Weddings and Wedding Receptions, Family Parties, Birthdays, Christmas and Holiday Parties, Banquets, Meetings, Fund Raisers, Class Reunions, Remembrance Gatherings after Wakes and Funerals, Tournaments, Business Training & Offsite Business Functions, Little League, Dance and Football Team After Season Parties, Town Organization and Community Events, just to name a few. Setup is permitted 2 hours ahead of time on the day of the function to decorate at no additional charge. 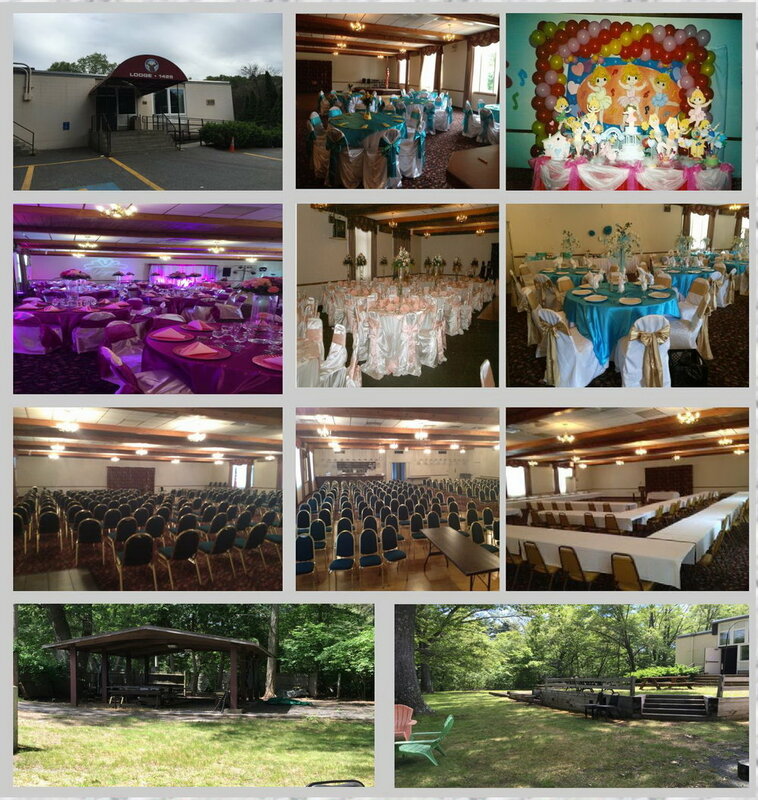 Host your next wedding, party, gathering, business or organization function at the Natick Elks. The spacious hall, convenient private parking lot, full bar, kitchen and great service, all will contribute to you and your guests having an enjoyable experience! Below are a few examples of how renters and their event planners have beautifully transformed our function hall to suit thier needs.